Anytime you add any new flock members, it can be stressful. The newcomer has to establish a place in the pecking order among your chickens, which can sometimes include a bit of squabbling or fighting. Introducing a new rooster can be just as stressful! But there are a few things you can do to ease the transition and to help your chickens accept your new flockmate. 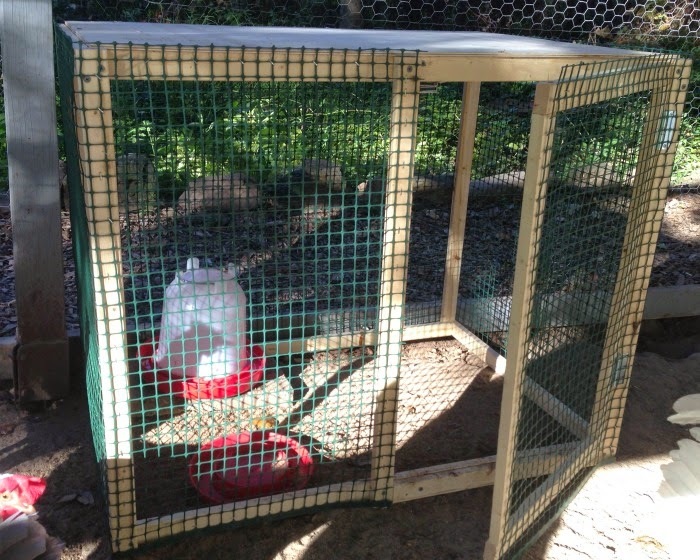 If you have purchased a new rooster from another farm or backyard flock, it is very important that you observe the proper quarantine procedure for the health and safety of your chickens. If you are simply introducing one of your own roosters that has been raised on your property, you do not have to quarantine them. Poultry can carry diseases and illnesses while still appearing very healthy and vigorous. Any sort of stressful situation can bring out underlying illnesses and moving to a new home can certainly be stressful for your new chickens. For this reason, you cannot simply put a new chicken directly into your flock without first confirming they are truly healthy. This can be done by placing any newcomers into "quarantine" for 4-6 weeks before introducing them to the flock. They should be kept isolated and have no contact with your other poultry during this time, including no interacting through a fence or cage. You should wash your hands after handling your new chickens, as well as wear different shoes around them. An easy way to achieve this is to care for your flock first and then care for the newcomers afterwards. What are the risks if you do not quarantine them? If the new chickens are carrying any illnesses, they can transmit it to your flock and in many cases, chickens from the original flock will die. Many of these illnesses are also carried by chickens for life, so now your entire flock will be carries of disease. It is much easier to do a simple quarantine to save yourself so much heartache later. 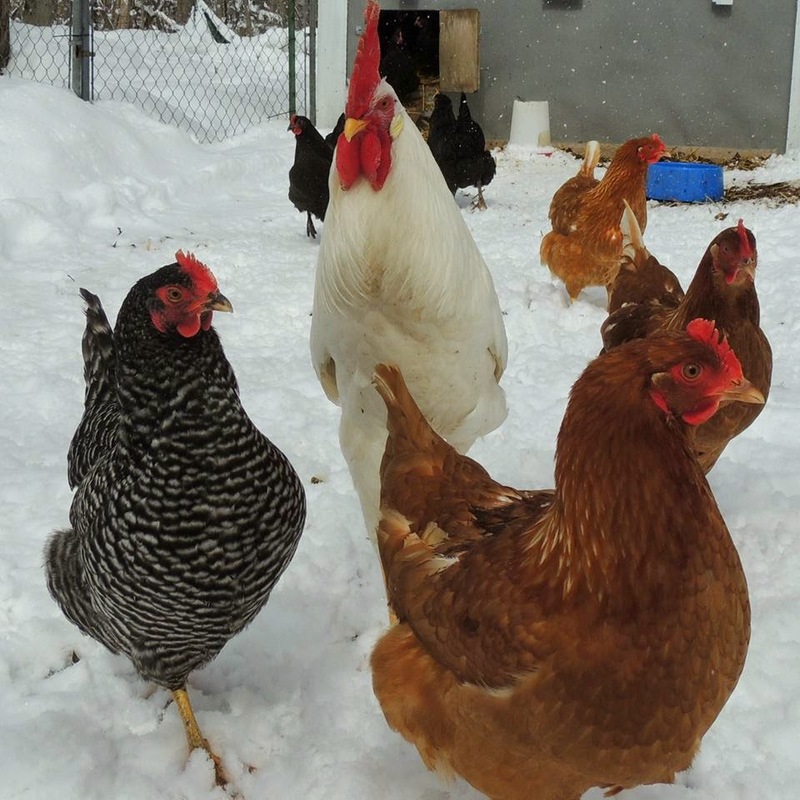 Once the period of quarantine is complete and your newly purchased chickens have shown absolutely no signs or symptoms of illness, you can proceed with integrating them with your flock! The first introductions are best carried out with a fence between the new rooster and your flock. We have a small cage we can place into the run so everyone can see each other and interact, but cannot touch. This allows everyone to get used to each other without any fighting. Some chickens may not be interested at all in the new rooster, while some may pace outside the cage, or even attack the cage. We like to keep the new rooster separated in the cage for a few days to a week, depending how the interactions are going. Chickens often times will simply get used to each other during this period of time, making the real integration run very smoothly. A sure way to know that your rooster is a good fit for your flock is when he begins to call the ladies over to his cage in an attempt to share his food with them! Once a few days have passed and everyone is happily interacting through the fence, you can get ready to let your new rooster out of his cage. Once everyone seems used to each other, you can let your new rooster out to be with the rest of the flock. It's best to observe them during this time to make sure all goes smoothly. Don't be alarmed if there are some squabbles or even fights during this initial period. This is simply your chickens adjusting the pecking order to account for the new rooster. As long as none of your chickens are being injured, it's best to let them work it out on their own. But if things are getting out of hand or you are uncomfortable with their interactions, don't be afraid to place the rooster back into the cage for a few more days and try again. Although most integration really do go very smoothly, and before you know it, everyone is getting along well as if they have been together all along! 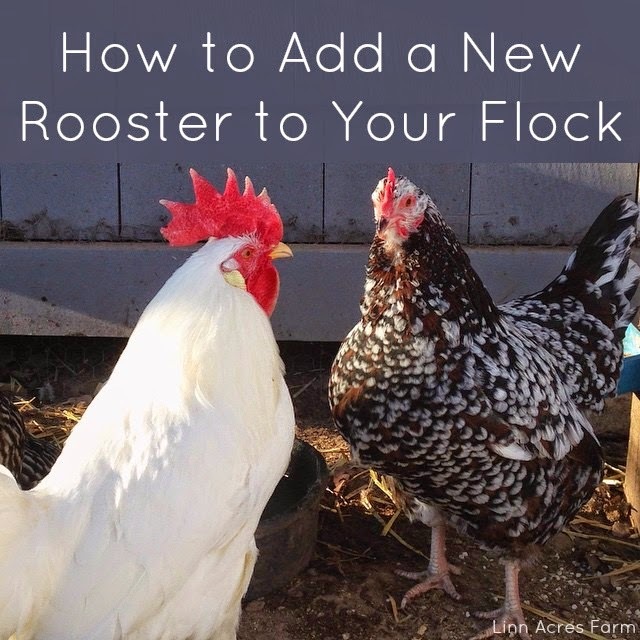 Do you have any tips to share on integrating a new rooster in your flock? We'd love to hear them! Share your tips in the comments!